With the rush in the mornings, it can often be difficult to prepare a healthy, nutritious breakfast. 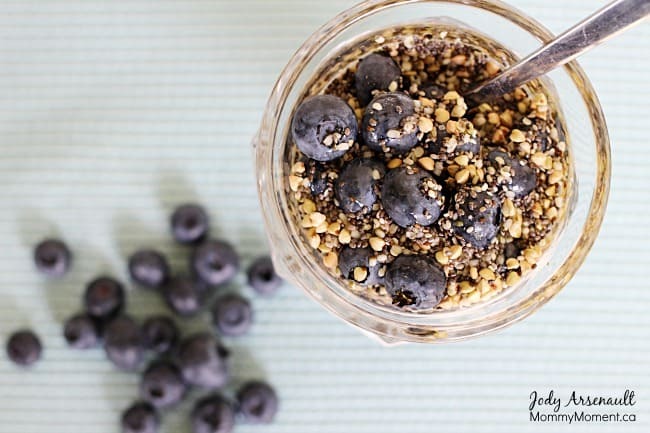 This healthy blueberry parfait is easy to make in a hurry and it tastes delicious. 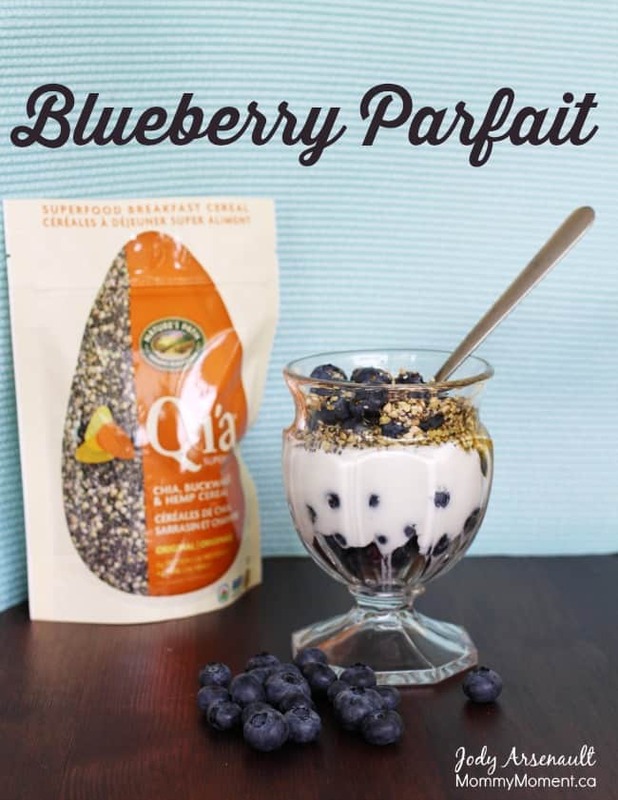 This blueberry parfait uses Nature’s Path Qi’a, a versatile and convenient superfood for lasting energy. I choose to use my own homemade yogurt to make these parfaits for my family. 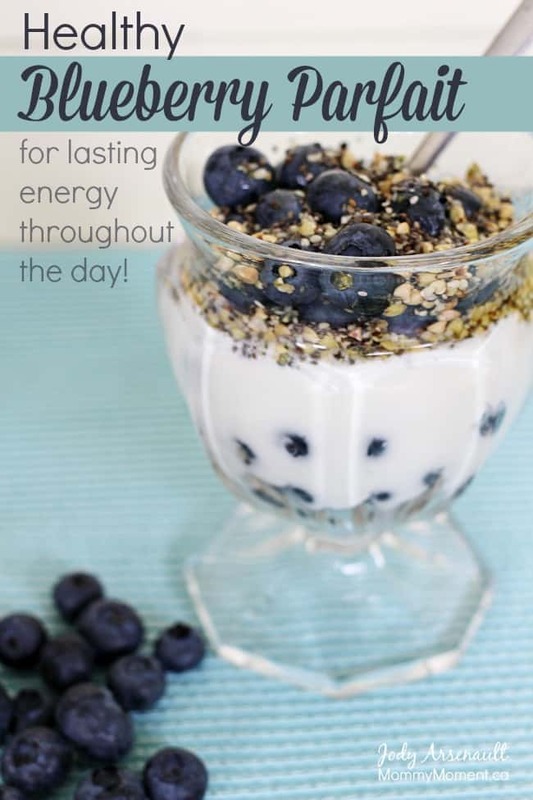 This healthy blueberry parfait is quick and easy to make and provides lasting energy. In a bowl put some blueberries. Add in the desired amount of yogurt. Drizzle on the maple syrup. Sprinkle on Nature’s Path Qi’a. Add some more blueberries to the top. Qi’s is a product that I love having on hand for my family. It is convenient and healthy, what else could a busy mom ask for. My girls are hooked on this delicious superfood. 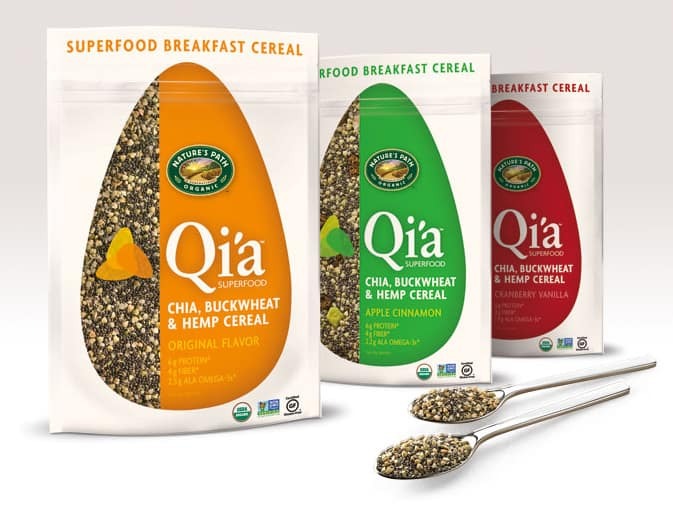 Have you tried Qi’a? What are your favorite ways to use this delicious superfood? I love Qi’a and have a similar breakfast parfait all the time. I have the cranberry flavour and it is awesome! I have been making my own yoghurt dishes for a few years now. I can’t remember the last time that I bought yoghurt with fruit on the bottom…I have seen these seeds in the grocery store but didn’t know anything about them so I will be able to choose a package now, thank you! Yesterday I had plain low fat organic yoghurt with crushed flax seeds, bran buds and blue berries and kiwi! I am going to print this because this is the kind of food that I love!! I just purchased some Q’ia to try so I am definitely going to make this recipe with it! This as so yummy! I really savoured every bite! Looks like a great recipe. I will try when I get some fresh blueberries when they ripen. This looks very good and tasty, where would I be able to buy the Qi’a? Looks like a delicious parfait. Thank you! This looks delicious and so very healthy. well I think I may have found a new favorite breakfast!! I always try to think of new breakfast ideas as I get bored very easily. Gonna have to try this! Sounds so delicious and so easy! Always looking for new breakfast ideas, this looks so yummy and very healthy!!! Sounds so good, will have to pick up the ingredients to make this. Thanks for sharing! this looks absolutely delicious!! all i have had cravings for is for yogurt parfaits so im definitely gonna try this out! I love blueberry season. This recipe seems so easy too. I will have to try it. I have never heard of Qi’a before. I can see so many easy variations of this recipe with different fruits, flavours of yogurt and seeds/nuts – yum! 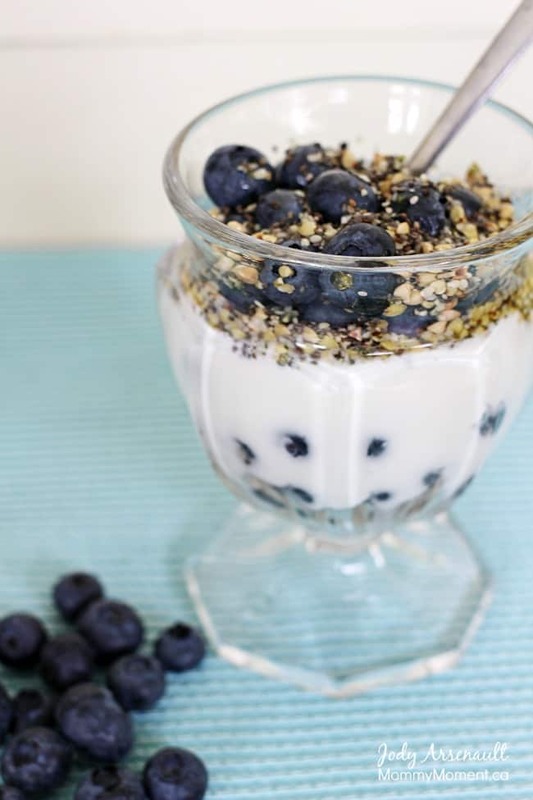 Mm love blueberries, must try this recipe!! Yuuuummyy! Saw it in the store but have not tried it yet. Nice to have something that you can just add in without having to cook it first. I love yogurt in the morning. This is a great way to switch up my usual mix, thanks! Yes, you can buy Astro Original Balkin Style Natural Yogurt. I use it as my starter sometimes and it also has no gelatin. This breakfast parfait would make a nice change to my regular boiled eggs and an orange!